We will teach how to cook “Gemista” by using ingredients that our farm’s land offers. Oregano, thyme, parsley and extra virgin olive oil are deliciously taking off our food. 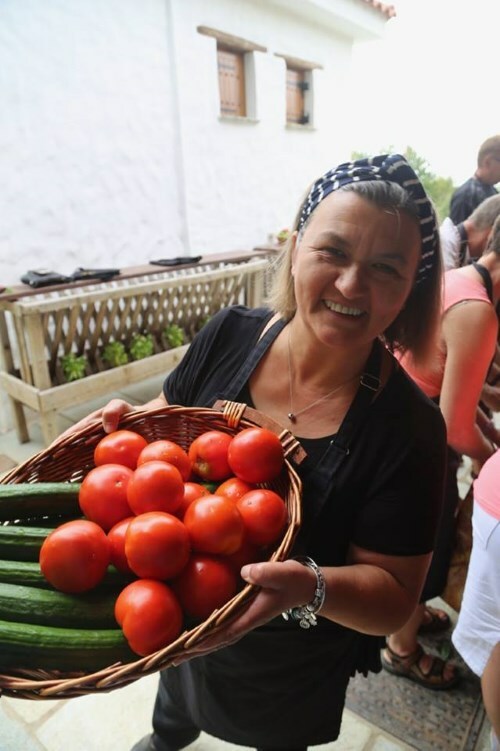 We set the table where “Gemista” are accompanied with wrapped Greek feta cheese in phyllo pastry with Pelion honey and a traditional Greek omelette called “Strapatsada” made by fresh grated tomatoes and eggs from the farm’s chicken house. We welcome our guests with hot mountain tea or homemade sour cheery drink. 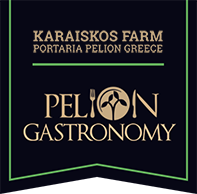 During this workshop our guests will have the opportunity to taste traditional small snacks “meze” with the famous local drink “Tsipouro” and learn about the Greek culture behind the Greek food. “Gemista” will be served on the table accompanied with seasonal salad and Greek white wine. At the end of the lesson we say goodbye to our guest with small gifts and participation diploma.